Ayurveda Retreat is the perfect opportunity for you to get a taste of Ayurveda. We are in the lap of the nature providing you the most eco-friendly peaceful Ayurveda retreats in the perfect ambiance and tranquility. The center has a clear focus on rejuvenation and cure, which is in perfect accord with the surroundings where the air is fresh, pure and invigorating – the perfect choice for a health and leisure break especially for Yoga and Ayurveda Retreats. 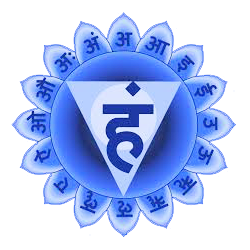 Over these years, School of Holistic Yoga and Ayurveda Goa, has emerged as a trusted name in teaching and promoting Ayurveda as we strictly adhere to genuine Ayurveda treatment methods. Various combinations of Ayurvedic therapies are advised after a detailed examination of the patient’s medical history at the initial consultation. You will then receive an individualized module consisting of therapeutic massage, dietary counseling, and body detoxification and rejuvenating treatment. The average modules are between 7 to 21 days. All therapies are conducted by the experienced therapists under the supervision of the professional Ayurvedic Physicians. We offer various specialized Ayurveda Treatments and therapies like Shirodhara, Kati, Greeva Vasti, Abhyangam, Elakizhi, Nasyam and various other therapy/treatment packages for improving your physical, mental and emotional well being. 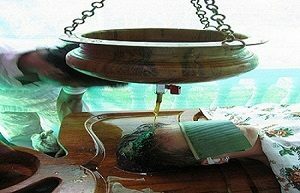 We offer 7, 10, 14 and 21 days Ayurveda Retreats and Therapy Packages for complete relaxation, rejuvenation and cure. Kindly email personally well in advance to know about the schedules. We can always arrange a private one to one retreats and treatments based on your arrival if you inform us in advance (30 to 60 days minimum). Kindly send us a mail to extract more details about the individual Retreats and Treatment Packages. We provide accommodation in AC and Non AC fully furnished Holiday Homes, Apartments and rooms based on the duration of your course or stay with us. Meals are available but optional. Ayurvedic organic meals can be arranged on request and preference. You have to mention it during your booking which in case selected will be included in your package retreat cost.